Today we held the finals of our Craigburn’s Got Talent performances and WOW the children at Craigburn really DO have a lot of talent!! CONGRATULATIONS to Ethan for winning the Craigy for 2012. Ethan performed a song on the saxaphone. He is a Year 3 in the classroom nextdoor to us. Here’s a photo of Ethan as he receives the Craigy trophy. 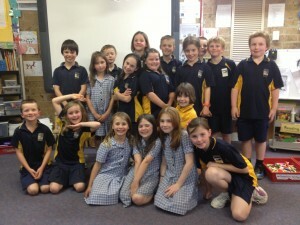 Two weeks ago Mrs Rayner started to hold the try outs for each class. We had lots of students prepare and organise their performances for our try outs on Tuesday. After a long week of performances from all Reception to Year 7 students the finalists were announced. There was a great variety of acts that made the finals – solo singers, group songs and dances, skipping, dances, hip hop dance, musical instruments being played and so many more. Our class had four different groups make the final. 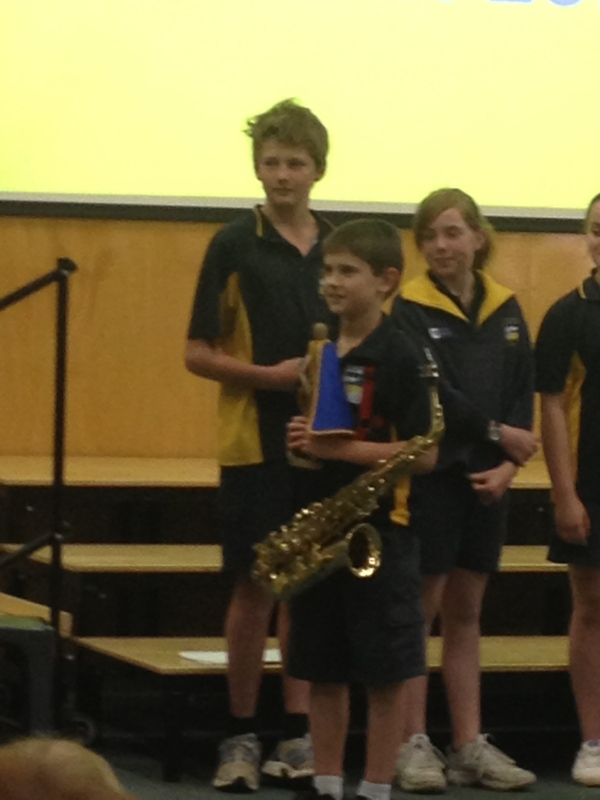 Lachlan played his drums and sang Come Together by the Beatles. Lucy and Sarah sang and danced to a song. Emma, Jenny and Hannah sang and danced to a One Direction song. We’d like to say congratulations to all of the students who were brave enough to organise and prepare an item for Craigburn’s Got Talent. It takes a lot of courage and confidence to perform in front of an audience of around 600 people. The judges found it really difficult to make a final decision as there can only be one winner of the Craigy trophy. 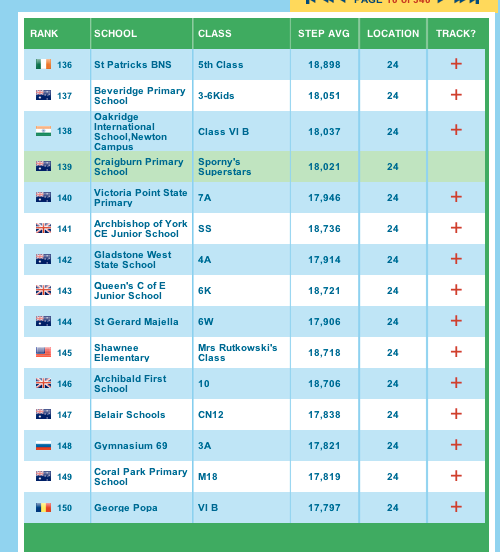 There were lots of ties for the second and third positions – well done to everyone! 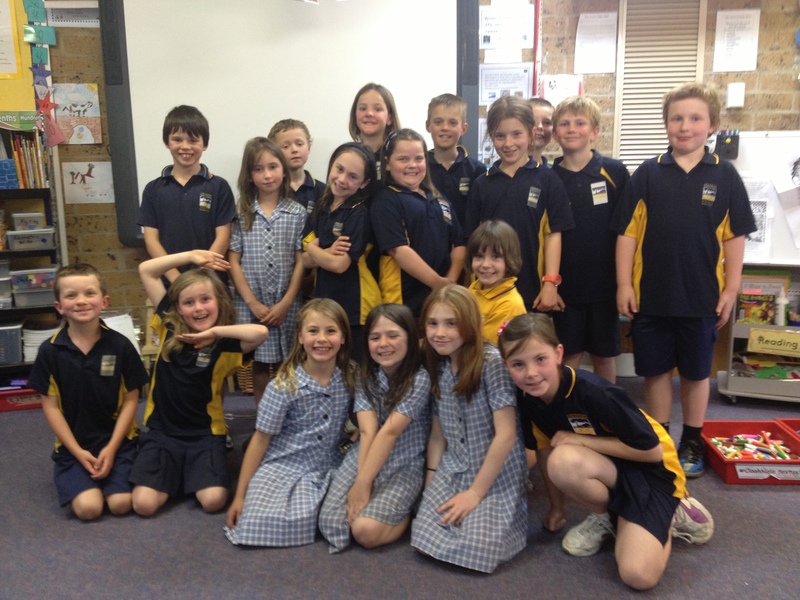 Here are all of the members from our class that tried out for Craigburn’s Got Talent! Here are the class members that made the finals today. Here are some more fantastic photos of our amazing camp – come in and check out the pin up boards at school for a huge display. 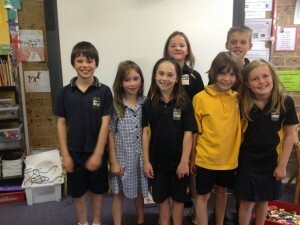 This week our class joined the other Year 3 classes for a camp to Narnu Farm on Hindmarsh Island. Narnu is a working farm and when you attend camp there you need to help with all of the jobs that usually happen on a farm. Our classes were split into day groups of 8-9 children and we had sleeping/ night groups – some children slept in cottages and the ret were in the bunkhouse. We had an AMAZING time away – we loved all of the activities we did plus the extra games, free time and sports games that we could play. Our cottages and bunkhouse accommodation were really comfortable and all of the meals were delicious. We really enjoyed working with all of the different staff on the farm and they taught us a lot about farm life, looking after the environment and how to care for animals. Here are just ‘some’ of the photos taken on camp. Have you ever been on a camp – tell us about your experiences, we’d love to hear from you. As we begin Term 4 we love to keep hearing from all of you! How were your holidays? Please post a comment telling us about your holidays. Do you have any ideas for future posts on our blog / challenges for our class that relate to our learning? We’d love to hear your ideas and suggestions. We started the challenge at Niagara Falls and have moved around North America, South America, including the Amazon Rainforest, over to Africa, over to Madagascar, back to Africa and we are currently in Kampala, Uganda. This is challenge provides us with so much information about the world we live in – we love reading about our destinations, what money they use, the capital cities and states and names of countries and where they are in the world. We’ve learned a lot about countries around the world and their cultures. This is also a great way to recognise the amount of exercise we already do, plus it challenges us to keep moving. We aim to walk 10,000 steps each per day- this keeps us fit and active. We need to work as a team and encourage and support each other. It also improves our number skills in Maths – we need to read higher numbers, add them and work out who is our highest stepper for each day. Here is a link to the challenge if you are interested in signing up for 2013. 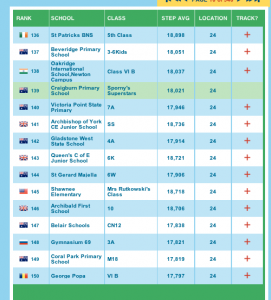 Last Friday our class was 139th in the world – we thought it was so impressive we took at screenshot of the leader board with our position. What do you think about our progress? Are you enjoying the Challenge?